New Delhi: The Comptroller and Auditor General of India (CAG) has said that 90% of the country’s income tax (I-T) arrears are owed by just a dozen individuals, led by Pune-based stud farm owner Hassan Ali Khan, reports PTI. Government auditor CAG also noted in a report that these demands are “unrealisable 100%”. Mr Khan, with a tax arrear demand of Rs50,345.73 crore is followed by Chandrika Tapuriah, wife of his associate Kashi Nath Tapuriah, with an outstanding of Rs20,540.83 crore, while late stock broker Harshad Mehta owes Rs15,944.38 crore in arrears. Interestingly all of this demand is categorised as unrealisable," CAG said in the report tabled in Parliament. Mr Khan, along with the Tapuriah couple, is embroiled in a number of cases ranging from money laundering, tax evasion and passport forgery which are being probed by various agencies like the Enforcement Directorate and Income Tax Department. The government, in August this year, had also disclosed the names of the “top 10 individual defaulters” for Income Tax assessment year 2009-10. Apart from Hassan Ali and Harshad Mehta, they included Kashinath Tapuriah (Rs602.80 crore), AD Narrotam (Rs5,781.86 crore), Hiten P Dalal (Rs4,200.04 crore), Jyoti H Mehta (Rs1,739.57 crore), Ashwin S Mehta (Rs1,595.51 crore), BC Dalal (Rs1,535.89 crore), S Ramaswamy (Rs1,122.48 crore) and Uday M Acharya (Rs683.22 crore). CAG said the government has a huge tax demand of Rs1.96 lakh crore, of which 84% can’t be realised due to various reasons like death, insolvency and liquidation of company. Mumbai: The Reserve Bank of India (RBI) on Friday freed interest rates on various non-resident deposit schemes, a move that will help attract more funds from non-resident Indians (NRIs) and arrest the slide in rupee in the forex market, reports PTI. The decision to de-regulate interest rates on such deposits comes within 24 hours of RBI putting restrictions on forward contract in rupee to check speculations in the forex market. The RBI had already freed the saving and deposit rates for resident bank customers. Friday’s decision will give banks the freedom to fix rates on Non-Resident (External) rupee deposits and Ordinary Non-Resident (NRO) accounts with immediate effect. “With a view to providing greater flexibility to banks in mobilising non-resident deposits and also in view of the prevailing market conditions, it has been decided to deregulate interest rates (such accounts),” the RBI said in a circular. “Interest rates offered by banks on NRE and NRO deposits cannot be higher than those offered by them on comparable domestic rupee deposits,” it added. The deregulation in rates on NRE and NRO deposits is intended to make such funds more attractive at a time when the rupee has depreciated sharply during last few months. Following Thursday’s RBI move, the rupee made a smart gain of 94 paise to settle the day at 52.70/71 against the dollar on fresh selling of the US currency. The RBI in its monetary review said it is closely watching the rupee situation and will respond to it as appropriate. “Financial inclusion is the buzzword today, but investors continue to be frustrated by lack of clarity on financial products, regulations, laws and schemes. This is why we need to focus on investor-education and financial literacy,” said S Aftab, general manager, corporate communications, support services & branch expansion departments, Union Bank of India, speaking at Moneylife Foundation’s seminar titled ‘Investor, Empower Yourself’ in Pune. 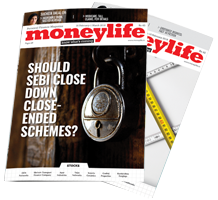 Ms Sucheta Dalal, trustee of Moneylife Foundation, spoke on the schemes to avoid while investing—like pyramid and multi-level marketing schemes, internet fraud mails and unregulated products. 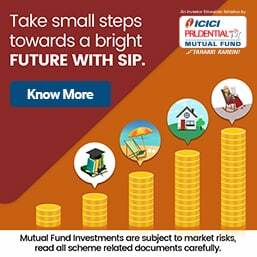 “It is better to invest with a scheme/product that is overseen by regulators like the Reserve Bank of India (RBI), Insurance Regulatory and Development Authority (IRDA) or Securities and Exchange Board of India (SEBI). There is no guarantee that you will not lose money if you invest in mutual funds or insurance products, but you can approach the regulator in case anything goes bad,” she said. She also spoke on the importance of making a will and getting adequate insurance coverage. “Always bargain and negotiate with service providers and try to get the best deal. Also, if you get a better deal from someone who is not your traditional banker or insurer, move on,” she said. She also talked about the many hidden charges for credit card transactions, especially cash withdrawals for which the interest gets compounded very fast. “People run up lakhs in unpaid credit bills, and they think everything is dissolved if they tear up the credit card. Even if the company can’t catch you, uncleared transactions will get registered with credit rating agencies. It will bring down your credit score, and later, you will not get loans,” she said. Ms Dalal also talked about checking one’s credit score from agencies. Often, a person doesn’t know if he is a credit defaulter—and sometimes, the transactions show ‘uncleared’ due to mistake of the banks. Mr Debashis Basu, trustee of Moneylife Foundation, spoke on the importance of choosing the correct mutual funds. He also spoke on investing in gold, which is a speculative asset. “If we track gold prices through 30 years, we will see that it is dependent on the value of the dollar. Unless you are really good at decoding currency movements, avoid investing in gold,” he said. Mr Basu also talked about planning retirement expenses and saving accordingly. “Erosion will eat away your savings. One must start investing in mutual funds and stocks for wealth creation—but invest only that which you can spare,” he said. Following a lively question-answer session, the seminar ended in applause.